Our hearts were heavy when we learned of the unspeakable tragic deaths of our extended ohana in Las Vegas, affectionately known to us as “the 9th island”. In the wake of this horrendous event, we will be joining our sister islands of Kauai, Hawai’i and O’ahu to weave a one mile long lei to take to Las Vegas, and offer to the grieving and brokenhearted victims, survivors, and community there, and around the globe. Ohana, it is in these bleak times that we come together to hold one another up, to wrap ourselves in each other, living representations of the lei we weave, and create healing where before, there was none. Please bring your mana, your hope, your love, your grief, your healing, to Nalu’s South Shore Grill in Kihei any time between 9am and 9pm every day through October 9th to join in the weaving of this much needed Lei of Aloha for Las Vegas. Donations are being sought to support the costs associated with delivering the lei to Las Vegas and hotel rooms for the cultural practitioner and volunteers who will be delivering the lei next week. 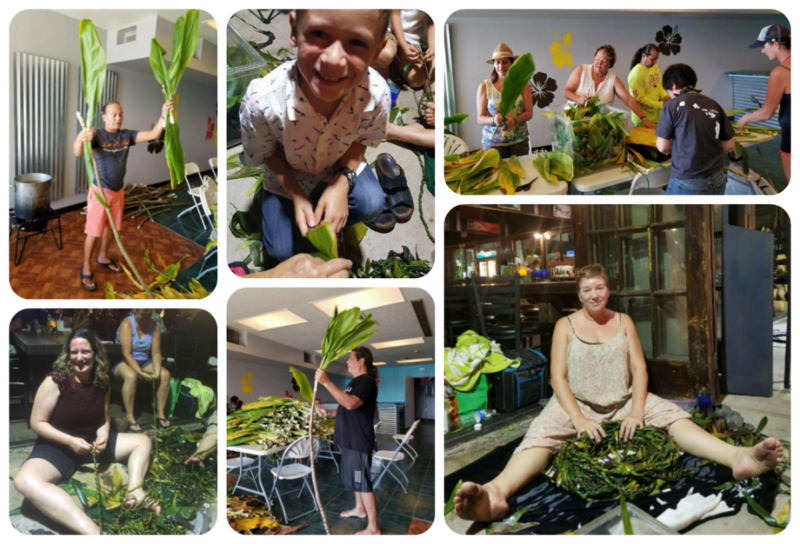 Weaving together Ti leaves from Kauai to Big Island of Hawaii, Kaupo to Keanae to Olowalu. Weaving the love and aloha to wrap around the people of the world, the “Lei of Aloha” brings us together to grieve, to heal, to connect and to life our collective spirits, when we lift one, we lift us all. 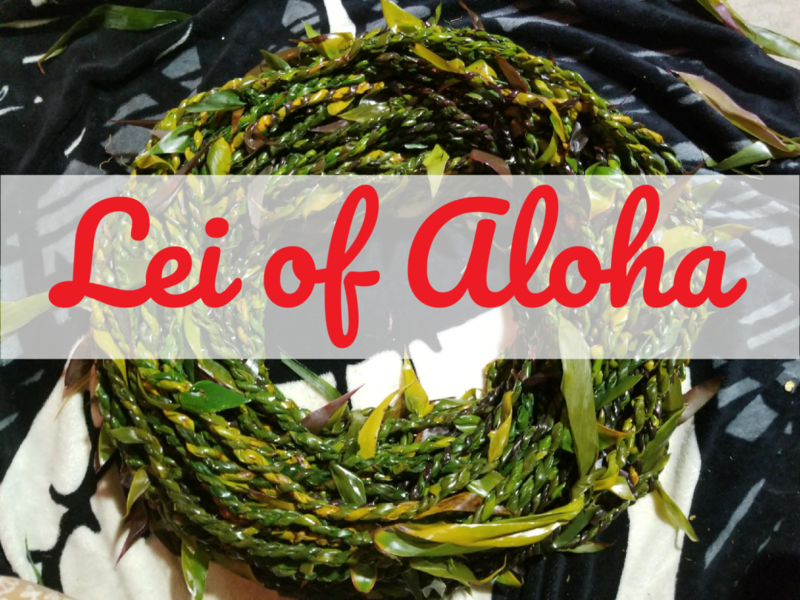 The “Lei of Aloha” is about Connection: we sit side by side, weaving lei, weaving conversation, weaving friendship. Weaving leaves of every color, red, yellow, pink, light green, dark green. Weaving people: gay, straight, Hawaiian, Asian, Hispanic, Caucasian, young, young at heart. Once woven and joined together it it impossible to tell us apart. WE ARE ONE. Thank you, it was super easy to donate, just hit the red button and use your PayPal to pay. Thanks so much for helping!